Got a New Phone? Clone it Easily!! Android Devices are getting smarter everyday with new features and styles. A handset you're using today, may not use tomorrow. But you may need to get back everything from your old phone. And CLONEit is capable of importing everything from your old mobile. Got a new phone? Try it now . 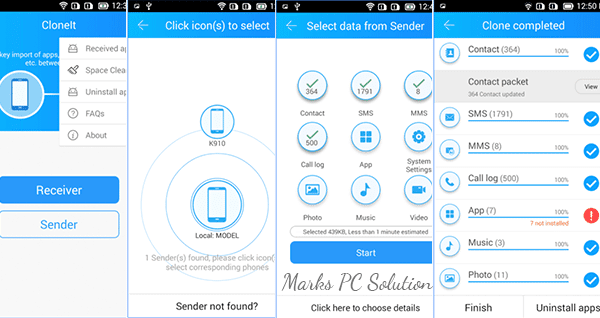 . .
12 Types of data can be transferred including contacts, messages, apps, call logs, SMS, MMS, pictures, musics, videos and even your system settings! Using CLONEit . . .
Download CLONEit from Google Play or from this link. Both of your handsets require this tool. So install it on both devices. Now run CLONEit on your old and new mobiles. On your old device, hit on the Sender button. And on your new device, hit on the receiver button. Now both of the devices will detect each other. And you've to manually select them from local device. One device will request access on another. You've to permit it. Then you've to choose the type of data to be transferred. Note: You can also select data of each categories. To do so, you have to click on - Click here to choose details. Use CLONEit with SHAREit . . .
You know what? 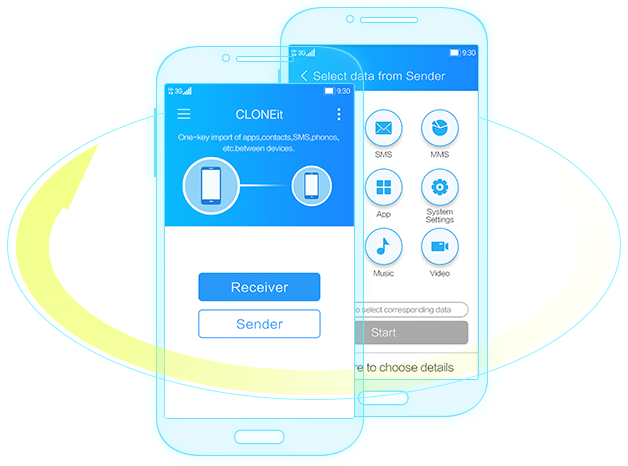 SHAREit and CLONEit are developed by the same team. Both are the free applications from Lenovo. 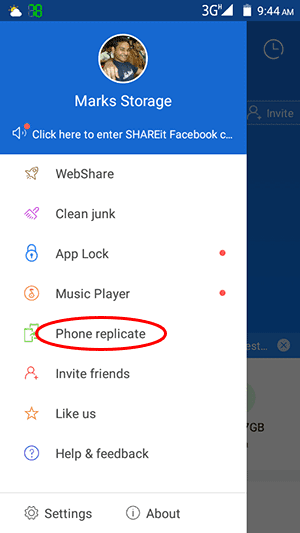 SHAREit has an option for phone replication. If you choose Phone replication then it will download CLONEit from Google Play. In that case, you don't need to have a different app (CLONEit) for cloning your phone! If phone replicate plugin is already installed with your SHAREit, then it will automatically open CLEANit. Otherwise it will ask you to download from Google Play. Hope this will save a lot of time when you set up a new Android Device! Claim your Business on Google Maps . . .
Add your Business to Google Maps!